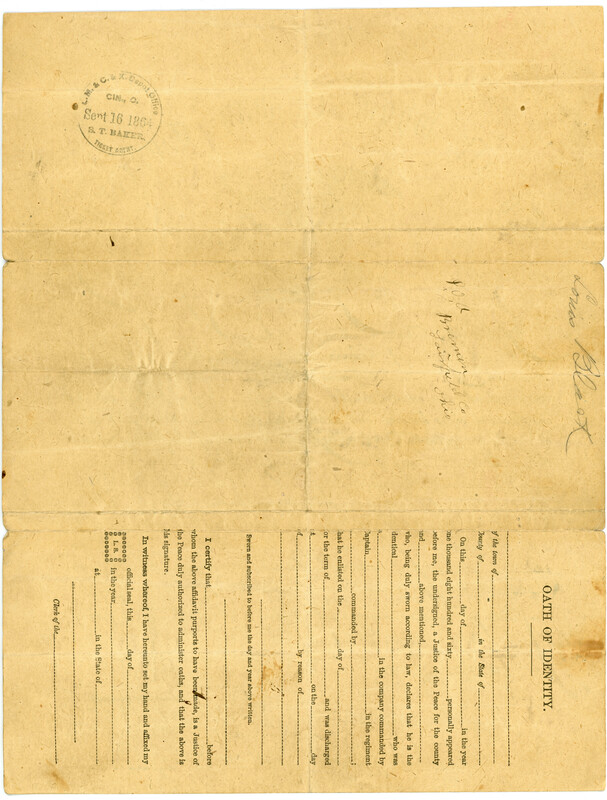 Today’s post will be a short one, mainly to celebrate having located one of my most cherished historical documents—Lewis Black’s 1864 honorable discharge from service in the Civil War. As one of my most cherished documents, I gave it special attention and protection when my grandparents gave it to me nearly two decades ago. Because it was segregated from the rest of my family history collection, I lost track of where it got packed in our last move. My wife and I made a concerted effort yesterday to go through every place it could be yesterday, and we found it in the penultimate container we searched. We were sore after eight hours of searching, but elated! Further description and analysis will be presented in part 2 of this post, because I’m eager to share my other big discovery of the day! This entry was posted in 1860s, Lewis J. Black by Michael. Bookmark the permalink.